There are 15 gates leading to al-Aqsa Mosque compound, ten of which are open while the remaining five are currently closed. The keys for the Moroccan’s Gate are with the Israeli authorities since they occupied East Jerusalem in 1967 CE. The keys of the rest of the gates are with the Islamic Waqf Directorate, but they are opened only with the permission of the Israeli police who control access to al-Aqsa Mosque. The Moroccan Gate is located in Al-Aqsa Mosque’s western wall (Al-Buraq Wall). It was last renovated in 713AH/1313AC. The gate leads to the Moroccan Quarter that was demolished by the Israeli Occupation Forces in 1967 to build the Wailing Wall Plaza in order to create a larger space for Jews to pray in front of Al-Buraq Wall, and to the left is Madarasa al-Fakhar. The view of the Bab al-Mutahara from inside the Haram al-Sharif, it is situated a few meters to the south of Bab ul-Qattanin. This gate is located in the western corridor of AlAqsa Mosque near the Cotton Merchants’ Gate which is close to the Dome of the Rock. It is the only gate of Al-Aqsa that does not lead to one of the Old City’s quarters, but to an ablution built by the Ayoubi Sultan Al-Adel Abu Bakr Ayoub instead. The gate and the ablution were last renovated in 666 AH/1267 AC. Bab ul-Hadid as seen from inside the Haram al-Sharif, it is located directly underneath the building known as Madarasa al-Uthmani. The Iron Gate is located in the western corridor of AlAqsa Mosque between the Inspector’s Gate and the Cotton Merchants’ Gate; it was last renovated in 755758 AH/1354-1357 AC. It is also called Aragun’s Gate after its renovator and founder of the Araguniyah School Prince Aragun AlKamili. Gate of Bani Ghanim, as seen from within the Haram al-Sharif (Temple Mount). The Gate is located in the northwest part of Al-Aqsa Mosque and was last renovated in 707AH/1308AC. It is a relatively small gate named after the Old City’s Bani Ghanim Quarter to which it leads. 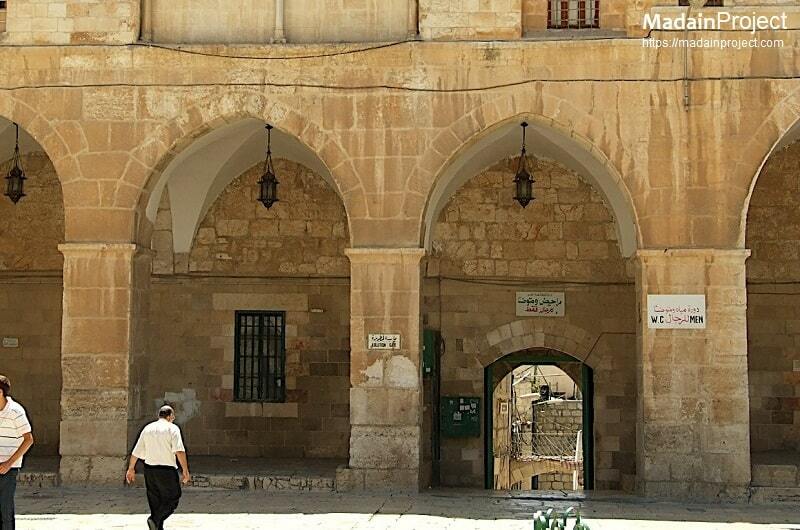 In the past, the Gate was called Al-Khalil (Hebron) Gate after Prophet Ibrahim Al-Khalil (PBUH). The Islamic Waqf Directorate has renovated this gate after an Israeli extremist burnt it in 1998. Bab al-Naazir or the Council Gate or the inspector's gate is located on the western flank of Haram al-Sharif. The Inspector’s Gate is located in Al-Aqsa Mosque’s western corridor to the south of Bani Ghanim’s Gate. It was renovated in 600AH/1203AC by King Moathem Sharaf Ad-Din. It is a huge gate with a 4.5 meter high entrance. The gate takes its name after the job of the Inspector of the two Noble Mosques (Al-Aqsa Mosque and Al-Ibrahimi Mosque) during the Mamluk Era. It is believed that the Inspector’s residence was close to this gate and that is why it was named after him. 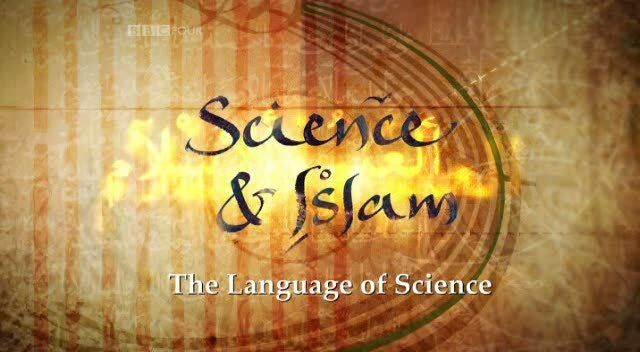 It was also called Michael’s Gate in the past, in addition to the Jail Gate because the Ottomans had built a jail next to it, and the Council Gate after the Supreme Islamic Council. Warren's Gate, the arch in the wall to the right is the closed gate discovered by Charles Warren. The Funeral’s Gate is one of al-Aqsa’s hidden gates, located on its eastern wall. Its name stems from the fact that it was used by Muslims restrictedly to carry out funerals to al-Rahma (Mercy) Graveyard. Today, the gate is permanently closed.